Exploring a museum may not be top of most people’s list of things to do when coming to Phu Quoc that is described as the tropical paradise on earth. However if you are a history, culture and nature buff who are curious about Phu Quoc island, how about visiting Coi Nguon museum in Kien Giang? It is truly worth an hour of your time. What is Coi Nguon museum? If you are into Phu Quoc's history, culture and nature, you should definitely visit the Coi Nguon Museum. This is one of the largest private collections in Vietnam. In Vietnamese, “Coi Nguon” means the root and by walking through the hallways visitors can learn a lot about how Phu Quoc is and used to be. With exhibits of Stone Age tools, a boat filled with barnacle-encrusted ceramics, shell-covered items of furniture, Vietnamese medicine and a small zone dedicated to the island prison, Coi Nguon museum is an oddball but exciting and informative introduction to Phu Quoc's history and culture. This private museum is operated under the Cultural Heritage Law. The Ministry of Culture, Sports and Tourism is responsible for enforcing the museum's regulations and activities while the specialized guidance for the museum is provided by the Department of Cultural Heritage and the Kien Giang Administrator of Culture, Sports and Tourism. How far can the dedication of a private collector go? The owner of this private collection is Huynh Phuoc Hue who used to work as a tour guide. He started his collection of exhibits devoted to Phu Quoc Island around 18 years ago. Offering visitors an insight into Phu Quoc history and life, the museum consists of five floors in the ornate building and owns nearly 5,000 artifacts that are mostly pottery. The lowest floor which is devoted to geology and aquatic life houses mainly fossilized wood samples, bones of various animals living on the island as well as in the sea, as well as a wide selection of seashells. There are bottles exhibiting samples of sand from all Phu Quoc beaches, two skeletons and several images of the dugong, along with turtles, pearls and corals. All of them form the marine zone on the ground floor of the museum. Moreover, there are glass jars of sand from all Phu Quoc beaches, displayed to compare. The first floor is dedicated to the history of Phu Quoc. The two and third floors are used to display items, mainly pottery, which were salvaged from wrecks noticed 12 years ago. This floor also features a small collection of antique pottery and ceramics made during the time of 17th – 19th century. The fourth floor is a great place to learn more about Phu Quoc's locals daily life. It's worth going all the way up to the root. If you make your way to the fifth floor, you can get a beautiful view of Duong Dong town and Long Beach. Moreover, there is a small zone of the museum presenting samples of traditional herbal medicine as well as the botanical knowledge about Phu Quoc National Park. The outside area comprises the seabird sanctuary, the residence of several endangered sea eagles, as well as a zone dedicated to the Phu Quoc Ridgeback dogs. Culture, spirituality, geology, and biology - every aspect of Phu Quoc Island's life is covered in the museum. Antiquities, fossils, and slices of the various native tree species from Phu Quoc National Park, alternate with the spiritual shrines of old kings and heroes. Over 2500 items of masterful ancient pottery which were tested and approved by UNESCO are exhibited upstairs, along with various ancient coins and banknotes, some of which date back to the 15th century. One hut was propped up and shows visitors how the early Phu Quoc's dwellers used to live. Through the ancient folk artworks as well as some modern items, visitors can have a glimpse at the daily life of the native citizens, especially the beautiful ceramic paintings that succeed in offering an insight into their daily life. 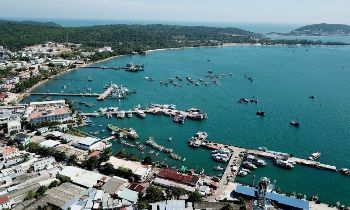 A small zone is dedicated to Phu Quoc Prison which is also known as Coconut Tree Prison. The description of the inhumane conditions in which detainees must suffer is extremely shocking. In case of not having time enough to explore the prison itself, visitors can check out the niche housing a shrine and pictures instead. The site allows you to witness thousands of people who lost their lives there. Most of them were in agony. Like some museums in Vietnam, lots of artifacts in the museum are not guaranteed by glass windows or other protective barriers. Therefore, in the case of visiting Coi Nguon museum, please use your common sense and do not touch the exhibits. 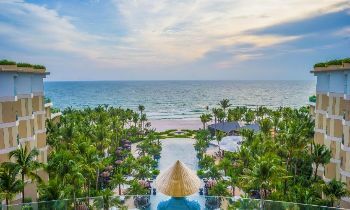 When coming to Phu Quoc, besides popping up on the picturesque and enjoy the feeling of immersing in miracle nature, travelers have another gorgeous spot to experience the local cultural life here. It is the Coi Nguon Museum. Let’s explore the Coi Nguon museum and have a memorable trip.